The Care Quality Commission (CQC) is the system regulator whose role is to reassure that all providers of adult social care and health care in England meet minimum standards for quality and safety as set out in law. 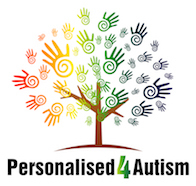 What do they check at Personalised 4 Autism? Safe: you are protected from abuse and avoidable harm. Effective: your care, treatment and support achieves good outcomes, helps you to maintain quality of life and is based on the best available evidence. Caring: staff involve and treat you with compassion, kindness, dignity and respect. 4. Are they responsive to people’s needs? Responsive: services are organised so that they meet your needs. Well-led: the leadership, management and governance of the organisation make sure it’s providing high-quality care that’s based around your individual needs, that it encourages learning and innovation, and that it promotes an open and fair culture. How do they use the five key questions during inspections? Each of the five key questions is broken down into a further set of questions. These are called key lines of enquiry. When they carry out inspections, they use these to help them decide what they need to focus on. For example, the inspection team might look at how risks are identified and managed to help them understand whether a service is safe. They use different key lines of enquiry in different sectors. Using key lines of enquiry helps CQC to make sure they are consistent in what they look at under each of the five key questions and that they focus on the areas that matter most.